Perhaps because Lithuania is a small country, it’s in the national character to want to explore every corner of the world. 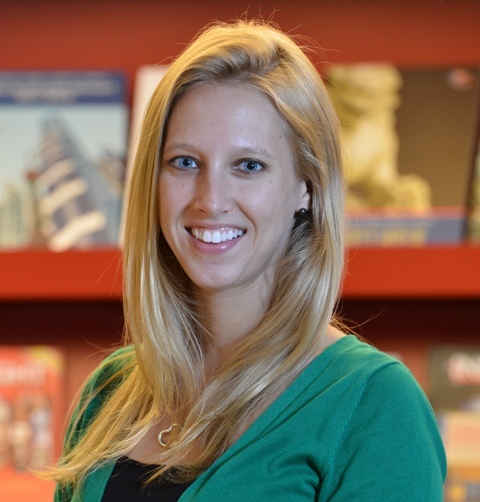 Fifth-generation Lithuanian-American Lindsay (Rackauskas) Ross of Springfield has followed her own wanderlust to Shanghai, China, where she works at the American Chamber of Commerce coordinating resources for American companies doing (or wanting to do) business there. Living and working in the exotic Far East seems like a dream for any young person. But due to the required language and cultural background, it didn’t happen overnight for this Sacred Heart-Griffin graduate. Lindsay became interested in Mandarin language and Asian Studies programs during her sophomore year at Lake Forest College, after she went to China for three weeks on a study grant. 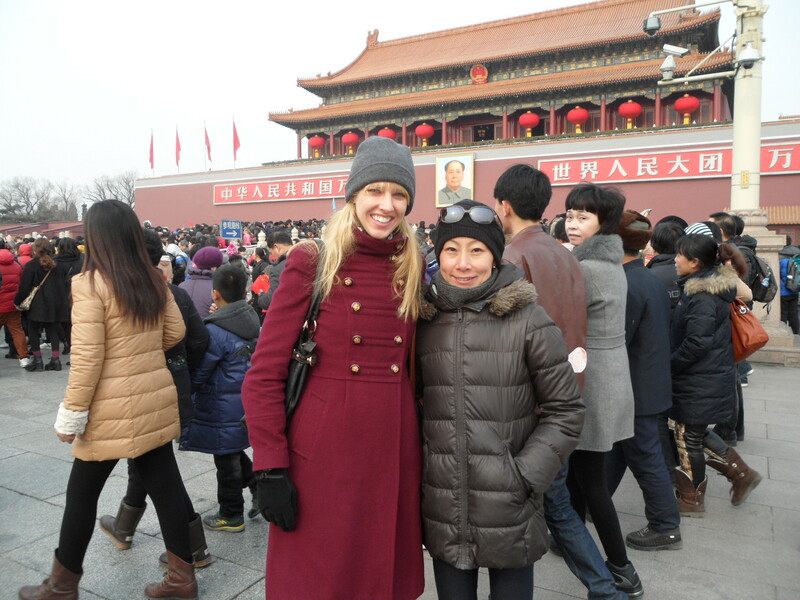 The next year, she studied abroad for a full semester at Peking University, in Beijing. Altogether, she studied Mandarin for four years before moving to China in 2008. Growing up in Springfield the daughter of pediatric dentist Mary Ann Rackauskas and the granddaughter of Helen (Sitki) and George Rackauskas, Lindsay remembers being brought up with several Lithuanian traditions. The Rackauskas clan used to unite for the traditional Lithuanian Christmas Eve Kucios dinner. Lindsay remembers the oldest male in the family signing the cross in honey on the forehead of each family member, and the eldest female sprinkling poppy seeds outside to rid the household of bad luck—a tradition Lindsay has since learned may be of German origin, but which the family still practices each Christmas season. The Rackauskas-Sitki family also made Lithuanian straw ornaments for their Christmas tree. Lindsay still observes one of her favorite Lithuanian Christmas traditions in China, where she makes vyritos, a whiskey-based hot drink with orange juice, cinnamon and other spices, including caraway seeds, for her expatriate friends. “I taught them all to say svekas (cheers),” Lindsay laughs. The diversity you are discovering is absolutely delightful! Keep it up! Very interesting, and enjoyable…I remember her when she was younger. Enjoyed reading this story, Sandy. Thank you. Heartwarming to read a 5th generation Lithuanian knows many traditions of her heritage. Good family ties.